Plants want to survive, they do not set out to annoy gardeners ! All a gardener needs to do is to help plants to fulfill their ambitions of life and procreation. As with humans and animals Mazlow’s hierarchic of basic needs applies in the garden. Physiologically water, warmth, food and rest are crucial. Safety needs such as security and a place to live, reproduce and grow plus a bit of esteem or love will help. Soil needs to be able to retain moisture. Extremely sandy or gravelly soil needs to have lots of humus added perhaps in the form of compost. Tip. Improve the planting hole, make it twice as big and deep as you think you need. Water needs to get down to the ‘drinking roots’ which are often deeper than the feeding surface roots. Water well to get deeper in the ground rather than little and often. 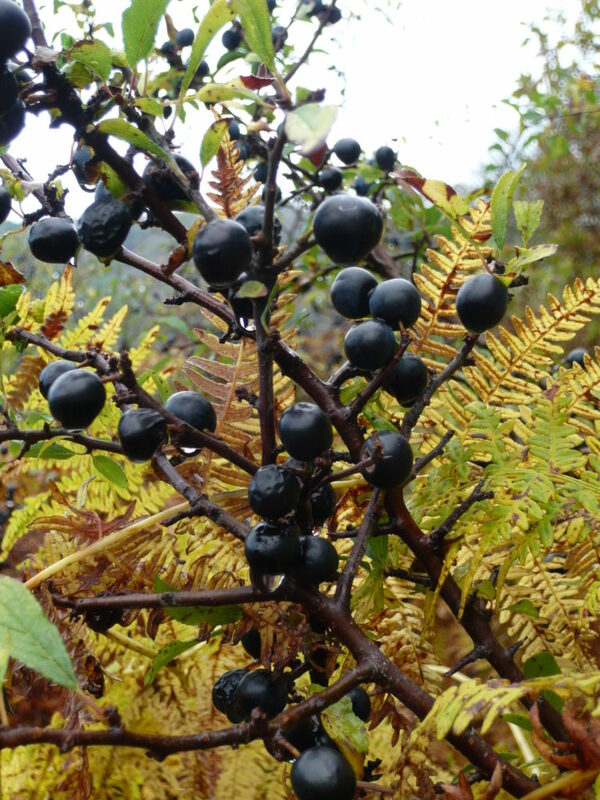 Fleshy leafy plants like salad and veg need more water than woody shrubs with fewer leaves to transpire. A small plant pot holds a lot less water than a big pot. It dries quicker, gets hot faster and runs out of food sooner. More houseplants drown than die of thirst. Roots can’t breath under waterlogged conditions. Plants tend to be seasonal so consider what you grow and where. Young leafy growth is more likely to be damaged by frost or strong winds. Some roots will die if the ground freezes. A mulch may help. Strong sun can burn shoots and leaves. 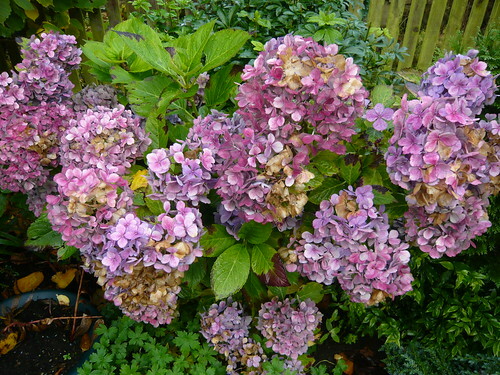 Hot, dry conditions will desiccate many plants and they can die. Shade a greenhouse in summer. 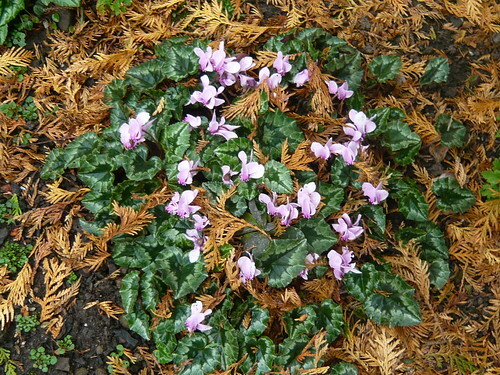 Many plants thrive on good light and dark can be very bad. We all need food and plants are no different. Photosynthesis converts sunlight into sugars for plant food. Water draws food into chlorophylled leaves for photosynthesis to start. Soil in ‘good heart’ will contain food to be dissolved and feed the plants. Extra food can be provided by granular or liquid fertilisers. Excess fertiliser may encourage weak growth. Locate your plants in appropriate surroundings. If the location turns out to be wrong change it or get another plant. Rest easy by sorting disease and pest with controls as soon as possible. Support plants that grow tall like sweet peas or are prone to wind damage like some perennials. Lots of materials are suitable for a compost heap. Pile in a mix of green and brown organic materials to help them heat up, when biological activity will then be at the highest. Organic material includes plants and most items that have been growing. Avoid droppings from carnivores such as dogs but other manures are fine. Bird & Chicken droppings are high in nitrogen, beware seeds. Spring will be sprung on you as soon as the snow and frost disappears. But first we need less rain. 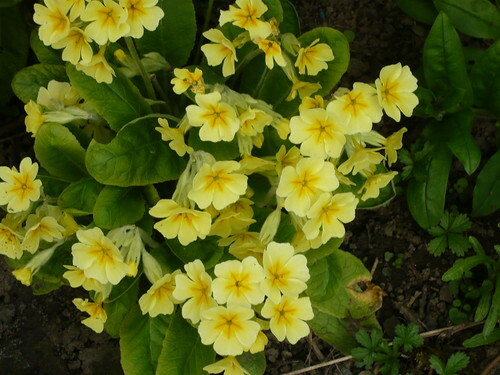 There isn’t much you can do at the moment but hope that any bulbs and hardy plants like these primroses are quietly getting ready to burst forth. If you are keen to begin then your first job should be planning and organising. Order and plant any bare rooted shrubs and trees. 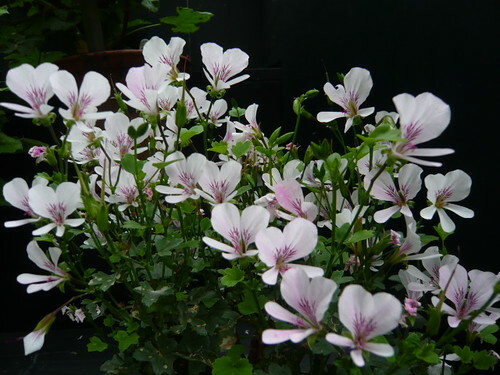 Thet can be planted as soon as the soil is workable ie can be dug and is not water logged. 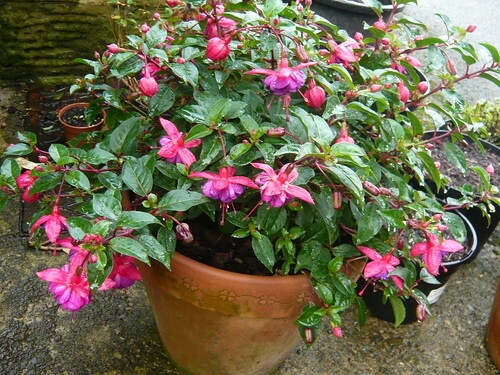 If it is too wet when plants arrive they can be heeled in (placed in a temporary hole and covered with soil or peat). 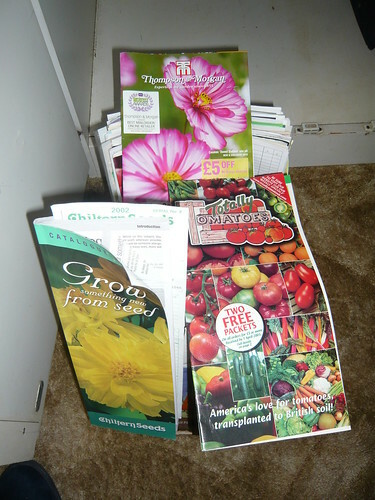 Scan the seed catalogues and decide what to order and grow from those on offer. 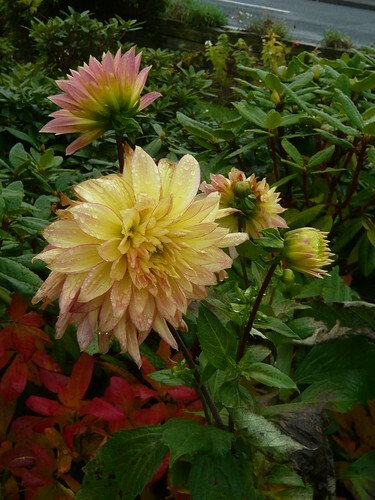 If you are a beginner then choose familiar plants and names as they will have stood the test of time with other gardeners and you are more likely to succeed. Avoid exotics and those that say ‘some experience needed’. 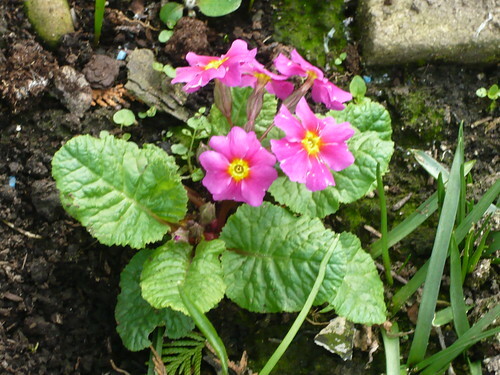 Plan to cheat by buying pot grown plants like primulas and pansies to brighten up spring spots and pots. 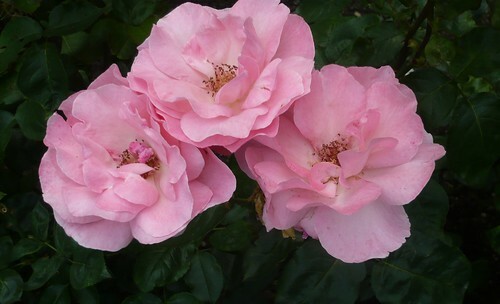 The best ones will have been grown hard in a nursery (not forced in a hot house like a supermarket). Spread last years now rotted compost where you are going to plant vegetables. What the worms don’t drag down into the soil can be dug in before planting out after March. Prune trees and grape vines (if you are lucky enough to have any) before the sap starts to rise. 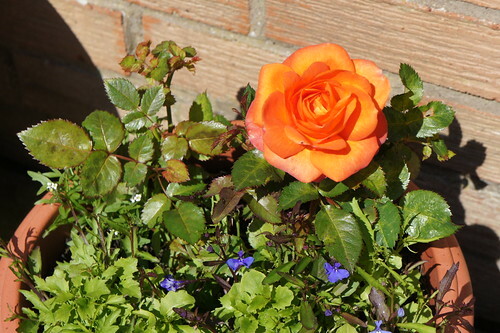 For spring flowering shrubs wait until they have flowered then prune back. Check over any plants or tubers in store from last year. 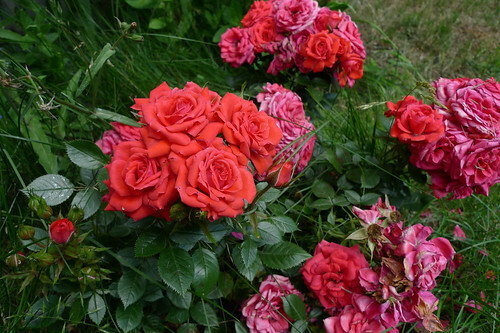 Destroy any rotted items and tend to dry soil with a very light watering. If gardeners have left wet leather gloves or shoes in a mild garage since summer they may now be covered in a white dusty substance that is powdery mildew. Powdery Mildew can affect many garden plants and it is especially vexatious on Gooseberries, Roses and Peas. The greying of leaves leads to yellowing, distortion and falling, it is unsightly and damages crops. For help understanding mildew read these tips. Stress through dryness at the roots can make plants vulnerable. Water well in dry spells. Do not plant too close to dry walls or in a rain shadow. Add a water retaining mulch. General maintenance issues bin any fallen or damaged leaves. Well fed plants will have more resistance to disease, apply Growmore or Blood, Fish and Bone at the start of the growing season. Select varieties that are less prone to mildew like Klevedon Wonder Peas or Cascade Brussels. Do not encourage sappy growth with too much nitrogen based fertilizer. Good air circulation will restrict mildew so prune or thin out branches to create an open framework. Damp humid conditions also favour mildew so water the roots not the leaves. Mildew is spread by spores so do not shake infected material. 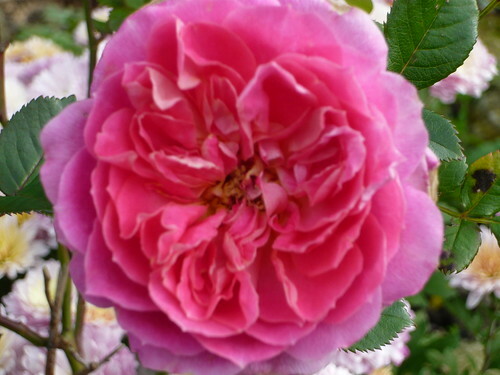 If all else fails there are proprietary fungicides and sprays including organic Fish oil blend or Sulphur powder which can help particularly on roses. Powdery mildews spend the winter as dormant infections resting structures or leaves which then release spores the following spring. 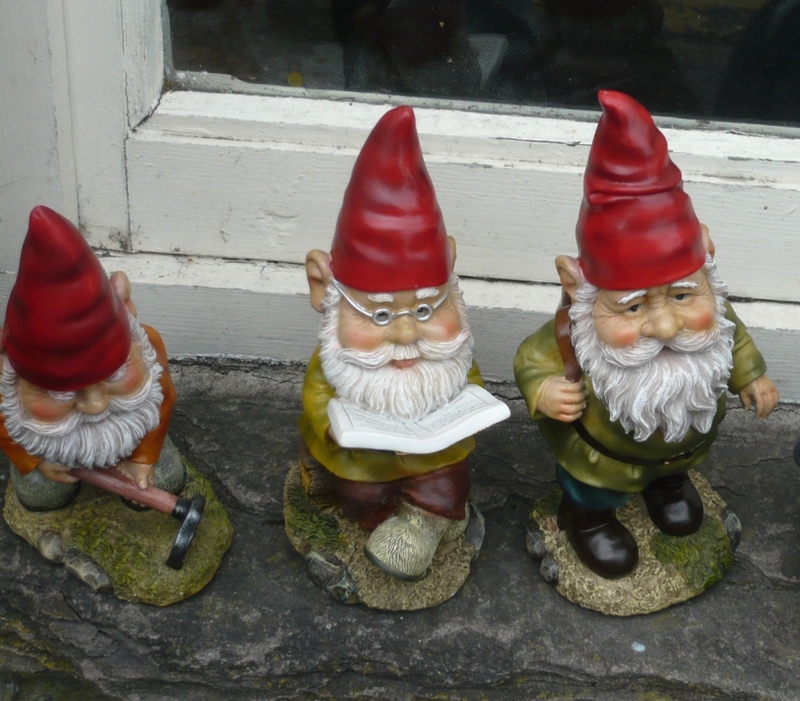 Oh and if your boots have mildew you are not doing enough gardening. Avoidance is better than cure read tips to avoid mildew. Trees exposed to gales quickly become logs or kindling. 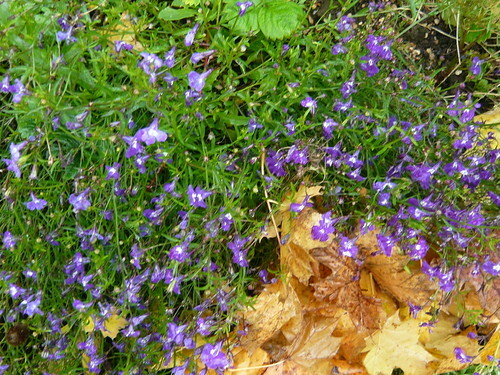 Gardeners have a lot to consider when confronted with the elements and vagaries of various plants. This picture encouraged me to consider trees exposed to wind in the form of a light breeze (a good thing), a strong blow and devastating hurricane force (a bad thing for English Trees in 1987). 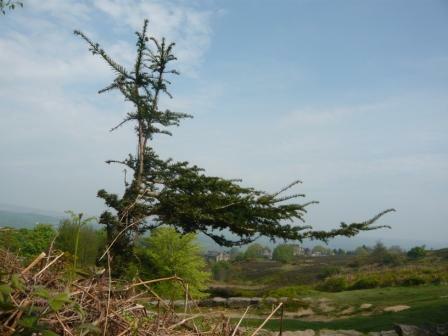 Trees can act as a wind break but if too exposed they may suffer. Think about the trade off and why you are planting a particular tree in a particular spot. (Trees are for life not just for decoration unless it is a Christmas tree). 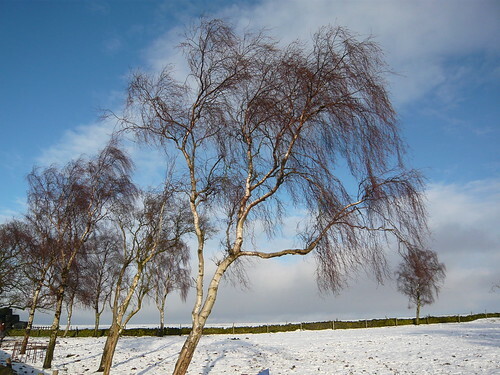 Wind can make trees lean and so young saplings may need staking until they are well established. However the ability to sway in the breeze builds up the strength of a tree. Tie the tree low down otherwise the head can snap off in a gale. If a tree is exposed then the growth will not be uniform and the side facing the prevailing wind will show less or shorter growth. Site your trees especially specimen trees in a wind shadow but not a rain shadow. Too much wind damage will cause delamination of the roots & bark, cracking, rupture and buckling. Strong winds cause trees to sway, pulling and stretching their roots and creating gaps in the soil that can stop water getting to roots. Species vary in their response to wind. Most rhododendrons are sensitive to moderate wind and react by closing their stomates, reducing loss of water by transpiration. In contrast, trees such as larch and alder under the same wind conditions maintain open stomates and continue to photosynthesize and transpire. Fruit tree growth increases as wind exposure decreases. Trees can be partially supported with strong forked props.